Every Saturday morning, on the backside of Diamond Head crater, you will find the KCC Farmers' Market. Local Oahu farmers, chefs, bakers, and artisans gather here to showcase the fruits of their labor. At the market, your senses will get quite the treat. Vibrant, colorful, locally grown produce and plants, fresh baked breads, Hawaiian honey, pressed tropical juices, and more will send you into sensory overload. While shopping and browsing, you may work up an appetite, which can easily be satisfied here. Eat and drink your way through the many flavors of Oahu, offered by the variety of food vendors that line the upper path. From spicy Thai and authentic Vietnamese, to island style Poke, you may nearly forget the delicious meal you had planned to prepare with your farmer's market finds. The 96815 favorite is the fresh roasted corn from Na 'Ono, slathered with lilikoi herb butter. Capped off with a crisp pineapple guava juice from Hawaiian Crown Coolers: pure bliss. The 96815 tip: check out the Tuesday night KCC Farmers' Market from 4pm to 7pm, where you will find a smaller, but equally delightful, version of the Saturday market. 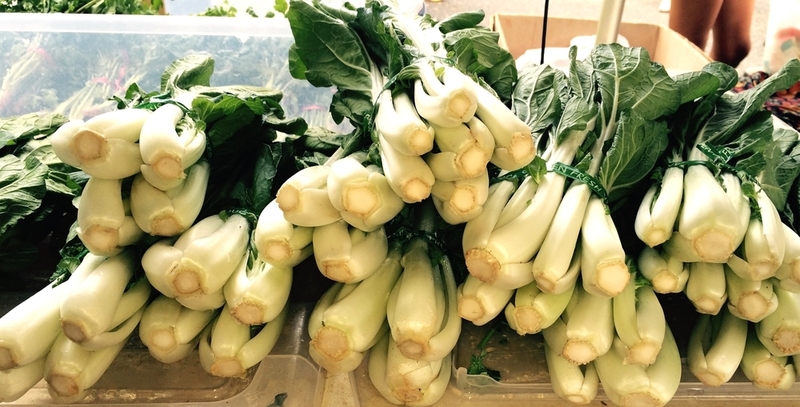 KCC Farmers' Market, Kapiolani Community College Campus in parking lot C, open every Saturday from 7:30am-11:00am. A weekly tip sheet and list of vendors is available at http://hfbf.org/markets/markets/kcc/.